No one likes paying full price for things. Especially if these things are ridiculously overpriced in the first place. Unfortunately, when it comes to Apple chargers there really is no alternative to buying the real thing. Buying a fake charger just isn’t worth the risk. The Chartered Trading Standards Institute (CTSI) recently conducted an investigation into the safety of fake Apple chargers. The organization purchased “400 counterfeit Apple chargers from suppliers around the world” only to find that 397 of the 400 failed even the most basic safety test. The 397 failed “an electrical strength test in which high voltages are applied to the units to see how much voltage will flow between the input and output. If the current is above the threshold the unit is determined to have insufficient isolation with potential for electric shock”. At the risk of stating the bleeding obvious, this means that 99 percent of the fake Apple chargers the CTSI bought online were potentially dangerous. Which is a shocking result. This investigation by CTSI follows on from a previous investigation conducted by Apple itself. Apple purchased 100 chargers from a company claiming to sell the real deal on Amazon Amazon Cracks Down on Counterfeit Goods Amazon Cracks Down on Counterfeit Goods Amazon is finally taking action against counterfeit products being sold through its site, with a concerted crackdown set to begin in 2017. Read More , only to find that 90 percent of the chargers were counterfeits. According to Patently Apple, Apple sued the company responsible, Mobile Star LLC, and in the lawsuit stated that these counterfeits “have the potential to overheat, catch fire, and deliver a deadly electric shock to consumers while in normal use”. Which puts the few dollars you save in perspective. 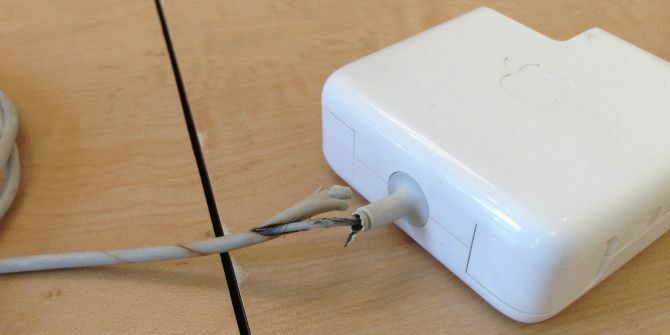 This all adds up to consumers needing to be more cautious when purchasing Apple chargers. The risk of buying a fake which could potentially overheat, catch fire, or shock you surely outweighs any potential saving you could make in terms of cold, hard cash. While I’m personally loathe to recommend anyone pay the exorbitant prices Apple charges for accessories, on this occasion that appears to be the only sensible option. And once you’re in possession of a real Apple charger, please take good care of it 5 Quick Tips for Taking Good Care of Device Chargers 5 Quick Tips for Taking Good Care of Device Chargers We fret so much about taking care of our batteries that we often forget to take care of our chargers! Here are a few tips you should keep in mind. Read More . Have you ever bought an Apple charger from someone other than Apple? How confident are you that it’s the real deal? Do you care that it might be counterfeit? What made you buy a charger from a source other than Apple? Please let us know in the comments below! The last two genuine Apple chargers I purchased have frayed and failed, just like the one in the photo. SHAME on Apple . What a shill piece this is. It has an Apple-planted smell all over it. This is simply another version of fake news. My first of many alternative chargers (I lose them on occasion) was purchased precisely because the Apple charger burned up in the receptacle. I assume your next article will be an equally ridiculous claim that non-Apple earphones can have inconsistent sound quality and may damage our hearing while Apple Bluetooth earphones are always perfect.